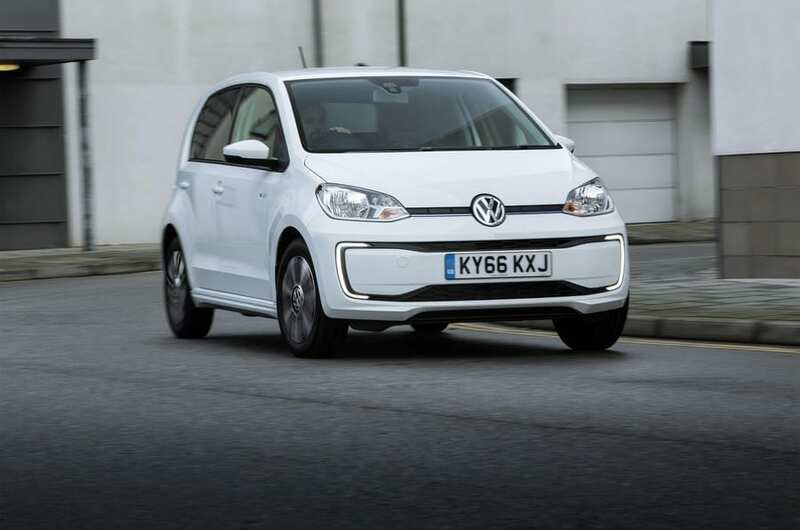 Following on from the news that the sale of petrol and diesel cars will be banned from 2040 we wanted to find out what the best electric models are out there for you to buy right now. The first electric car introduced into the UK market was in 2011 with the Nissan Leaf, which was the first car to really revolutionise electric cars. Despite the initial low range of 73 miles, most mass market electric cars now have a range of between 100 and 150 miles before needing charged. Although this might not sound like a lot, statistics show that over 50% of car journeys made in the UK are only between 1 and 5 miles, whilst 38% of journeys are between 5 and 25 miles, with the remaining 2% at 50+ miles. And battery technology is still expected to improve within the next decade to increase the range of electric cars up to 400 miles. Whilst electric cars are still very expensive to purchase, the low running costs will eventually outweigh a standard petrol or diesel car. Travelling 100 miles in an electric car will cost you anywhere between £3-4 depending on energy tariffs, compared to £15 in a petrol car. If you live or drive in central London, you may benefit from using an electric car even more, as many are exempt from the London Congestion Charge, which can cost motorists £11.50 per day for entering the zone. As we head towards a seemingly more electric future, what cars are the best out there currently? 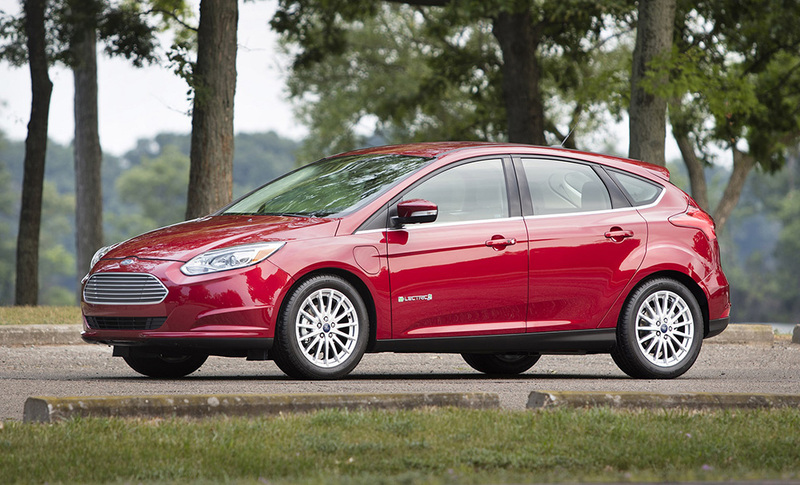 One of the most popular choices for petrol and diesel engines is the Ford Focus, who have introduced an all-electric model. The 33.5kWh battery pack provides an all-electric range of up to 140 miles although, similar to many other models, in the real world this will likely be lower. The Focus Electric can be fully charged in 5 hours from a 32amp home socket and if you are able to access a quick charging point, recharging the battery to 80% will take up to 30 minutes. In general, the car has exactly the same sort of appeal that makes people love the Ford Focus and the electric comes with a high standard of equipment. The steering wheel and seat can be adjusted in several directions so you can find a comfortable driving position. In terms of space, the boot is smaller than the standard Ford Focus as the original wasn’t designed to hold a large battery. Overall, the Ford Focus Electric is a really great electric car and enjoyable to drive, but rivals like the Nissan Leaf and Renault Zoe are cheaper. The VW e-up! is available only as a five door however it is one of the best small city electric cars out there. The range is 93 miles on a full charge which takes about 9 hours to reach full charge using a standard 3 pin socket. Using a more powerful charger, you can expect to get up to 80% battery life in just 30 minutes. The range of 93 miles is unrealistic in winter months, and you should expect the range to drop to about 50 miles. As the electric up! is based on the original VW up! it means its appearance is very similar both inside and out. The rev counter has been replaced on the dashboard with a dial that shows how mu,ch electricity you are using but in general drivers of the regular up! will feel right at home behind the wheel. The e-up! is a great option if you’re looking for an small, city run-around. If you regularly enter the London Congestion charge zone it would be a great option to save money, as it is exempt from the charge. 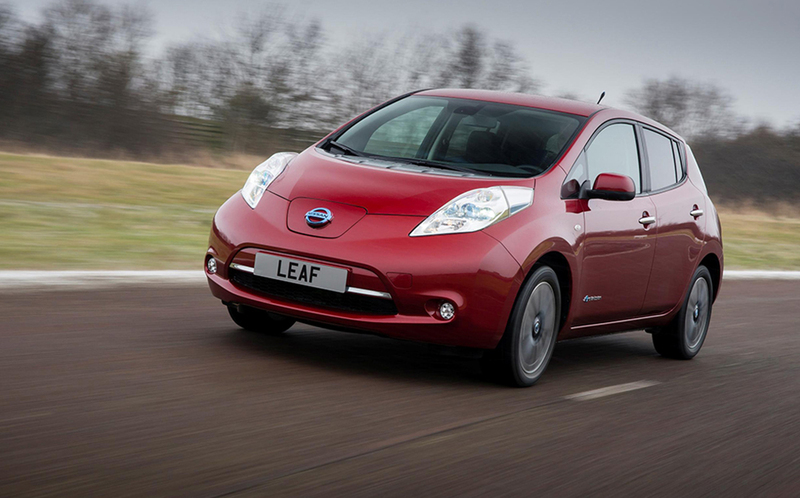 One of the first electric cars to become available, the Nissan Leaf has come quite far since its first release. A similar size to the Vauxhall Astra, it’s a comfortable car to drive, has large windows that allow for great visibility and has plenty of space inside. There are two battery options to choose from – the smaller size has a maximum range of 124 miles and the larger battery has a range of up to 155 miles. The downside is that it does take a long time to charge, especially when compared to some rivals; charging from a regular 3 pin plug at home can take up to 15 hours and installing a home charging unit could take up to 9 hours for the larger battery to reach a full charge. The leasing option makes the car more affordable, however to purchase it is expensive – although the government will contribute £4,500 towards your purchase. The car comes with a standard 3 years, 60,000 mile warranty on the small battery or 8 years, 100,000 mile warranty for the larger battery. It also scored a full 5/5 stars in the Euro NCAP. 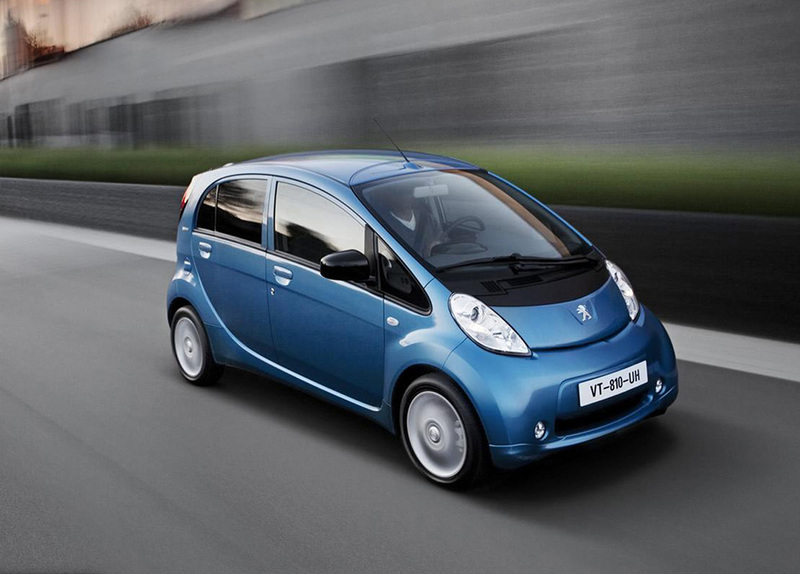 The Peugeot iOn has uber cute styling which matches its compact look perfectly and it’s a great car for city life. It has good visibility due to the large windows and its size means it can park in the smallest of spaces. The range of 93 miles means it’s not suitable for anyone who makes longer trips, but is perfect for navigating your way around congested cities on a day to day basis. The single gear means it’s a smooth drive although it will struggle on motorways. A single charge takes 5 hours at an estimated cost of £2 and fast charging bays will recharge your battery up to 80% in just 30 minutes. Zero emissions means the car is very economical; its free from VED and the London Congestion Charges and the government will give you a grant of up to £4,500 towards the purchase. The Tesla Model X really is something quite special. This full size SUV offers a huge range of up to 330 miles which is by far the largest range of any other electric vehicle we’ve come across. This makes it the perfect choice for anyone who regularly makes long journeys. When connected to one of Tesla’s superchargers it takes about an hour to charge from a flat battery which is pretty impressive. On top of this, Tesla will give you 400kWh of free power per year (which is between 5-8 charges on average). One downside is that there are only 30 supercharging points around the UK. Although this number has increased, and will no doubt continue to do so, they are still pretty sparse which may be an issue for people. A full at home charge can take more than 12 hours to charge fully and should cost around £10 based on a typical energy supplier. 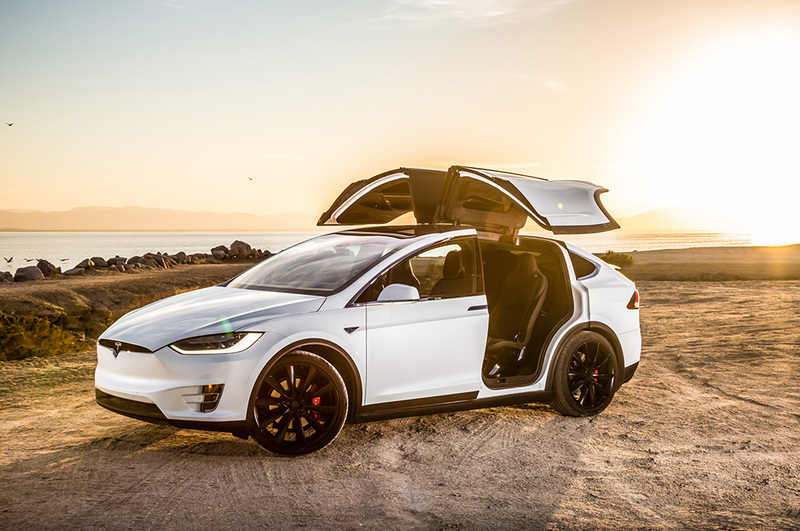 In terms of its looks, the Tesla Model X really stands out as a luxurious SUV. It has falcon rear doors that are reminiscent of 80’s sci-fi movies which is sure to excite a lot of people. You can opt for a five, six or seven seater which makes it a great option for large families. The Kia Soul is a pretty easy car to drive and is very similar to the standard model. Inside the interior has been built using good quality materials and its very comfortable to sit in. 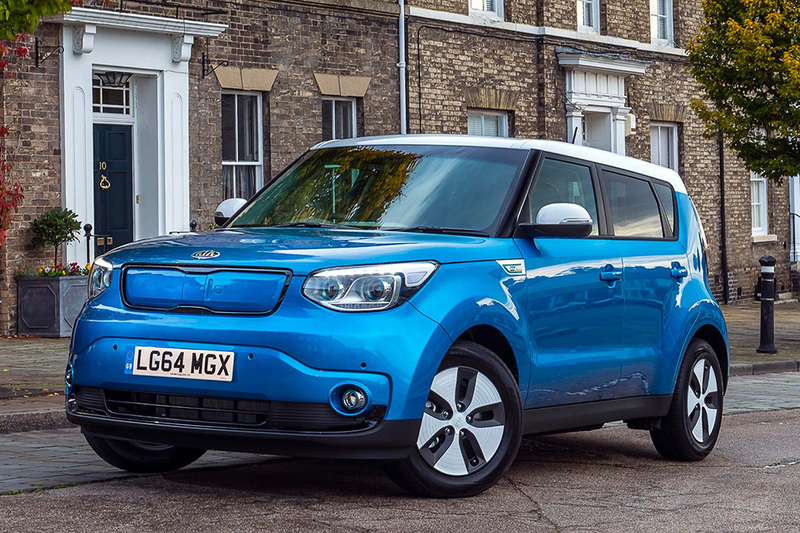 The Kia Soul EV gives a range of up to 132 miles with a 27kWh battery and can be charged within 4-5 hours with a fast charger. Using a standard 3 pin plug at home would take up to 12 hours, similar to many other models on the market. Rapid public charging stations will charge the battery up to 80% in just 30 minutes. One of the best features of this car, however, is the 7 years, 100,000 mile warranty – twice as long as the industry average. 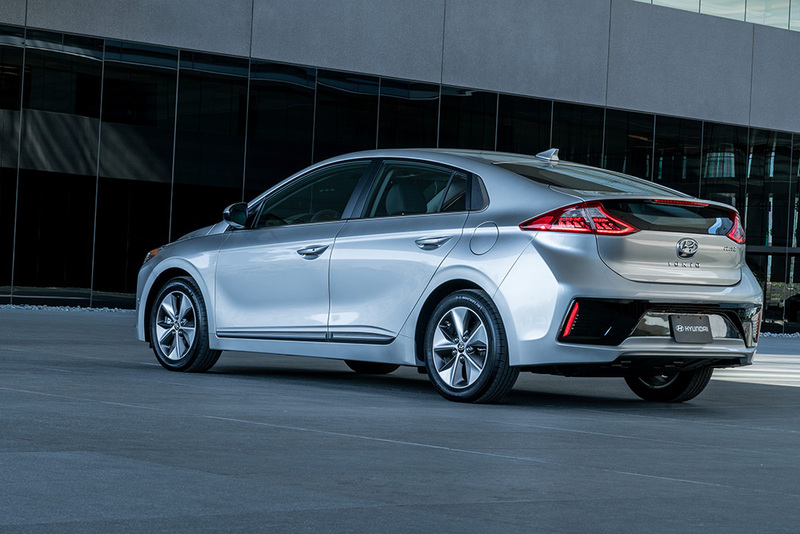 There are technically three models to choose from for the Hyundai Ioniq: a hybrid model which has a petrol engine combined with an electric motor, a plugin hybrid which has a bigger battery that you can charge externally and gives you more range or a pure electric version (EV). The EV Ioniq gives a full range of 174 miles with a fully charged battery, which takes as little as 4 hours to recharge if you use a dedicated EV charger at your home. Similar to many other models, charging at home using a regular 3 pin socket will take between 9 and 10 hours. The Ioniq is a practical car that offers range for commuting and has plenty space for a family. Its scored 5 stars in the Euro NCAP rating with an excellent score of 91% for adult occupant safety. 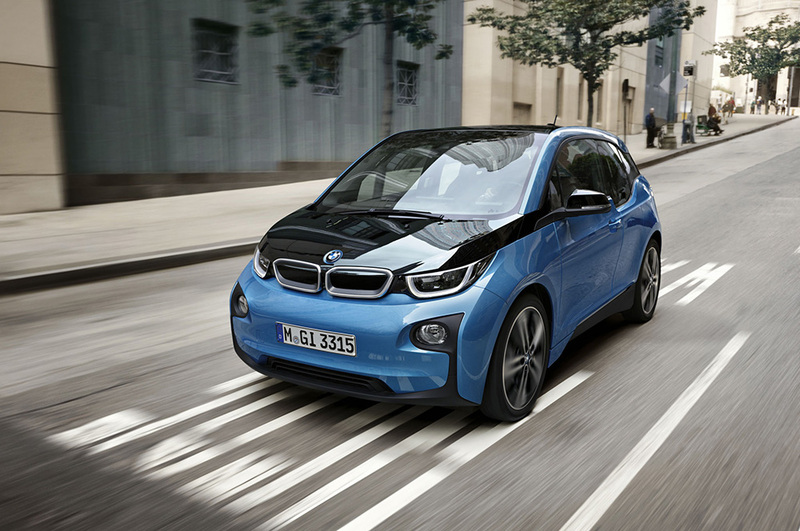 The BMW i3 is the first battery powered series production from BMW and it isn’t a platform engineered adaptation of a current BMW model, which makes it very different from BMW’s usual offerings. It’s a very similar size to a Ford Fiesta, but does feel larger inside. There are two versions of the BMW i3 – a pure electric (EV) version and the Range Extender which has a small petrol engine installed alongside the battery. The pure electric version will give you a range of up to 125 miles whilst the BMW i3 Range Extender can give you up to 186 miles. 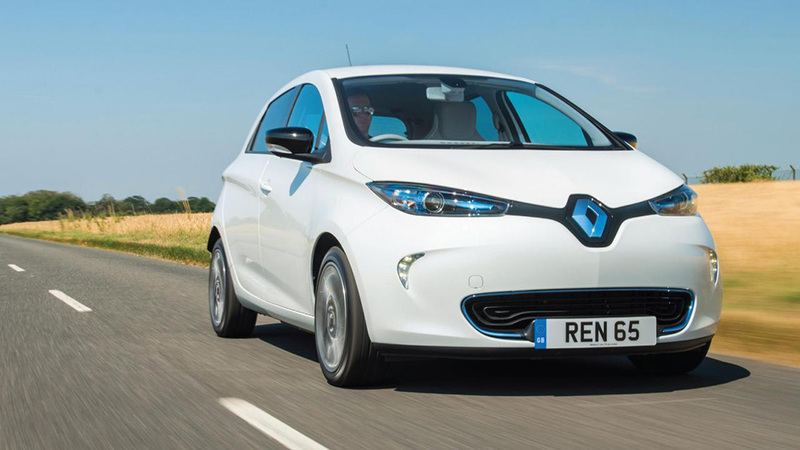 The Renault Zoe is perhaps one of the most stylish electric cars out there and is a similar size to a Ford Fiesta, with room to sit 4 inside comfortably. Inside, the interior looks smart and the boot is much larger than most other cars of a similar size which could be an advantage to some. The Zoe claims to offer a range of 250 miles on a full charge, but have admitted themselves that this is more like 174 miles in the real world. Opting for the cheapest version of the car means that you don’t actually own the battery – you have to lease it separately. The monthly fee depends on your mileage and how long the contract is. Buying the car and battery together pushes the price up significantly, so we would recommend buying the car and leasing the battery. If you purchase the battery, there is only a 4 year warranty period which means that after that if there are any issues with it, its your problem.